DEC (E-ballast) system by Iso Italia is an innovative electronic system for the control and ignition of the tanning lamps both in high and low pressure, Patented worldwide. We don’t use capacitors, ballast nor injectors for each lamp. We use a single Control unit for the switch on and control of two lamps with a power of 620W. Reduction of the number of components used = proportional reduction in maintenance. E-ballast will compensate the variation in lamp supply voltage. E-ballast ignites and drives the lamps with high frequency (not high voltage), reducing the strain of the lamps and increasing lamp life by 20%. E-ballast has software which self-compensates the electrical supply of the lamp to offset natural lamp degradation over the time and ensures constant MEDs for the entire lamp course. The DEC electronic starting system for high-pressure lamps, patented by ISO Italia, is a safe and functional solution for modern solarium operation. 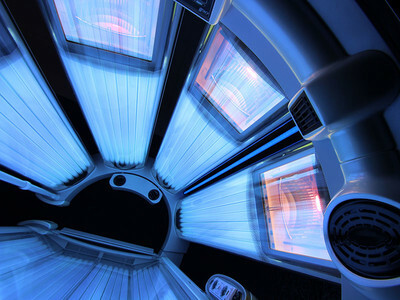 with this control system for each single lamp, tanning profiles can be personalized to suit skin phototypes.